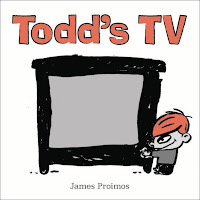 PreSchool-Grade 2—With broad strokes and witty slapdashery, Proimos's light cartoon art and plotline carry some weighty themes. 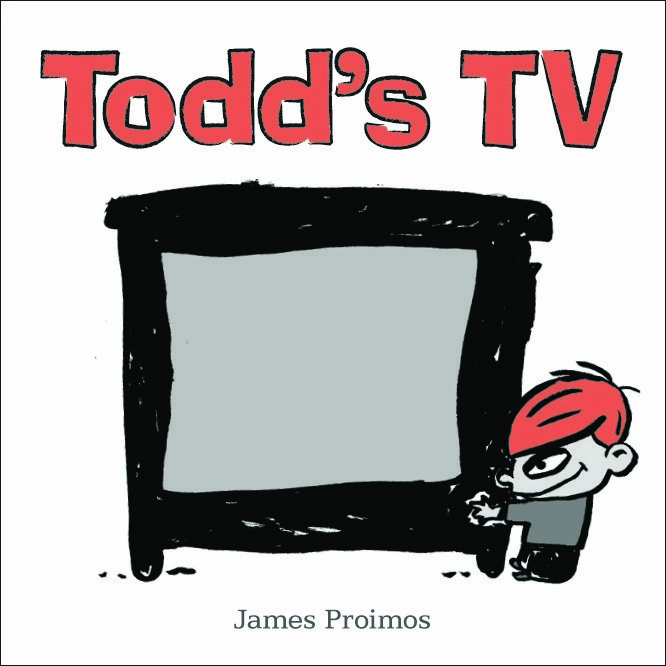 Readers are introduced to diminutive, cheerful Todd, his too-busy-for-quality-time parents, and his increasingly nurturing television set. "Todd loved his parents. But he had grown much closer to his TV." Only a few pages in, some adult readers will be shifting uncomfortably. The spread featuring Todd, his eyes unnaturally large and glazed over on one side, and the huge TV facing him on the other, won't ease their discomfort a whit. At this point, the author jumps into a hilariously exaggerated focal plot that manages to ease the tension and intensify the message. It all starts when neither parent is available to attend Todd's parent-teacher conference—and the TV volunteers. Amusing cartoon drawings in shades of gray, black, and persimmony-red against a white background and a satiric twist at the story's end further enhance this funny-scary cautionary tale. It's a hoot.